A Hawaiian aquarium fish collector herds small reef fish into a barrier net. According to state fishery biologists, there is no “overharvest” taking place by the aquarium trade, and social media discussions that followed seemed mostly dismissive of the HSUS report straight away, given that both HSUS, Humane Society International, and Hawaii-based anti-aquarium group For The Fishes commissioned the study. With large scale investments made in the past few years in attempts to end the fishery, these organizations clearly have a well-funded agenda. The results of this poll were heavily promoted in support of Hawaii’s S.B. 1240, which was framed as a “compromise” but in actuality designed as a ban through attrition, a sunset on the Hawaiian marine aquarium fishery. The bill currently awaits final action from Hawaii’s Governor Ige, who has recently signaled his intent to veto the measure before him. Philip J. Harold, PhD: Polling results fail four tests under objective scrutiny. It was recently brought to our attention that the concerns over HSUS’ data were not simply relegated to groups of well-intentioned marine hobbyists. 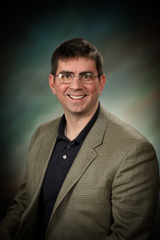 Dr. Philip J. Harold, Associate Dean for the School of Education and Social Sciences at Robert Morris University in Pittsburgh, submitted a letter to Governor Ige’s office earlier this month, raising concerns over the source and methodology behind the poll data being used by HSUS and its allies (the full text of Dr. Harold’s letter appears at the end of this story). However, observers in the Hawaiian Islands say that this is not a time to consider the matter resolved. With many aquarists already celebrating the news that Ige intends to veto this year’s bill [he has not actually vetoed it at this time], it bears reminding that in the ongoing debate over Hawaii’s marine aquarium fishery, it would seem that the anti-trade movement needs to only “win once,” whereas the fishermen must successfully defend their livelihood every single year. Once a ban is in place, repeal would be an uphill battle. Hawaii’s Aquarium Fishery is often heralded as the best-managed aquarium fishery on the planet. To date, the complete data picture supports the statements of numerous scientists that the fishery is sustainable. Were the historical tracking of fish harvests and populations to suggest otherwise, these same biologists would likely be the first to stand behind the decisions of fisheries managers to do the right thing. 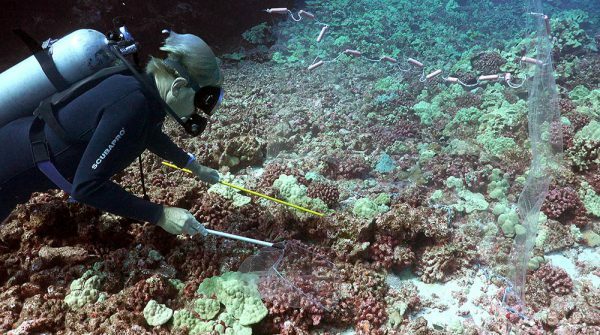 The Human Society of the United States, “Poll shows near total support for legislation protecting Hawaii’s reefs and marine life from overharvest by the aqaurium trade,” May 31, 2017, avaialble at the following link: [http://www.humanesociety.org/news/press_releases/2017/05/poll-shows-near-total-support-for-coral-reef-protection-from-aquarium-trade-053117.html], accessed 6/7/17. By way of background, I am a professor of political science at Robert Morris University. I am the Associate Dean, School of Education and Social Sciences. I have taught public opinion and polling, and have been involved for years in the Polling Institute at my University. My only interest in this subject matter is as a professional political scientist, and I am not taking sides one way or another on the substance of this issue. I am only interested in the correct interpretation of poll results by policy makers. It was a poll of residents, not registered voters. There is no statement of methodology or poll report for this poll, or even a press release from the polling organization itself, just a news release from the interested party who sponsored the poll. To evaluate any poll result, one must examine the exact question wording. That is especially the case here, which compares its results to a 2012 poll. However, unfortunately, the exact question wording is not provided. The statement in the news item, “[R]esults from this poll show a 17-point surge in public awareness and support for ending the trade, to 83 percent,” blurs together two distinct things, public awareness and support. To measure awareness of an issue, there would have to be at least a question about respondent familiarity with it. This poll should be given a similar level of weight comparable to political campaigns releasing internal polling data, which would not release any damaging information, only information that supports their narrative. Thank you for your consideration of these comments. Please feel free to contact me at the email address or phone number provided below if you have any questions about these comments.